Whether you want to outsource your entire IT function or simply support your existing team, CSL can tailor a solution to meet your needs. Our proactive support service takes care of your entire infrastructure – constant remote monitoring, server updates and patches, backups and test restores and unlimited network support. The core of a managed service is delivering a seamless and consistent service, giving our clients peace of mind that their IT environment is in safe hands. 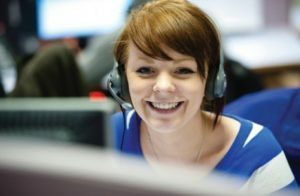 A vital element of our Managed Service offering is our highly skilled Service Desk team, available 24x7x365. The team extend your access to IT knowledge and act as a single point of contact for any IT related issues or enquiries, minimising any disruption to your business operation. In addition we deliver dedicated, professional and high quality Service Management, ensuring our service remains in line with your business needs. Regular service reports and reviews, documented procedures on escalation paths and changes based on an ITIL framework all ensure we maintain SLA’s and monitor and measure service success. Technology and the workforce is undergoing vast transformation, changing the way employees work and businesses operate. With our dynamic Managed Desktop Service, we ensure your employees have the right technology to meet your business needs and that they are continually aligned with the latest operating updates and requirements. 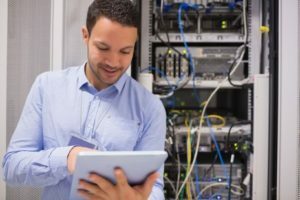 Servers, storage and networks are the vital components to any organisations ability to use technology and communicate with customers. We deliver and manage our clients’ end to end IT infrastructure from our central Data Centre, providing a reliable core IT environment that makes digital transformation possible, and helps achieve improved productivity and cost efficiencies. Every day operations are highly reliant on advanced applications – many of which are bespoke to individual business requirements. As applications are a critical part of your business, our team of application experts covers all elements of Application Management, from dedicated remote, telephone or on-site support to supporting infrastructure, best practice application development and management of vendor relationships. We provide you with the confidence that your critical business applications are continually accessible and reliable.